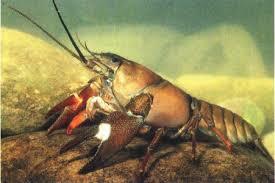 North American Signal Crayfish (Pacifastacus leniusulus) is present in up to 80% of British waterways. It poses a threat to native White Clawed Crayfish but also to salmonids. Documented harmful impacts include eradication of indigenous population of white-clawed crayfish Austropotamobius pallipes through direct competition and transmission of lethal crayfish plague Aphanomyces astaci. Impacts on other species and habitats also occur including benthic fish, aquatic invertebrates, macrophytes, and invertebrates. What this means to us: The establishment of this non-native species will harm the habitat of Trout, Sea Trout and Salmon, including affecting other species which are beneficial to game fish and fisheries. Damage to banksides causing erosion and silting can affect the passage of migratory fish and damage to redds. Take care not to accidentally introduce North American Signal Crayfish into the River Wear by cleaning your tackle and waders after fishing other waters.